After flirting with yoga in her teens and twenties, Kylie truly committed in 2011, reducing her physiotherapy practice to continue to grow her relationship with yoga. Kylie trained with Baron Baptiste and Laughing Lotus in the US and with Power Living here in Australia. She has completed her Yin yoga teacher training, balancing out her vinyasa practice. With her “butter” voice and commanding presence, Kylie creates a supportive space for students to explore challenges in the physical, mental and spiritual realms of their yoga practice. She leads an energetic, creative flow – sweat is unavoidable – moving from pose to pose, dancing with breath. 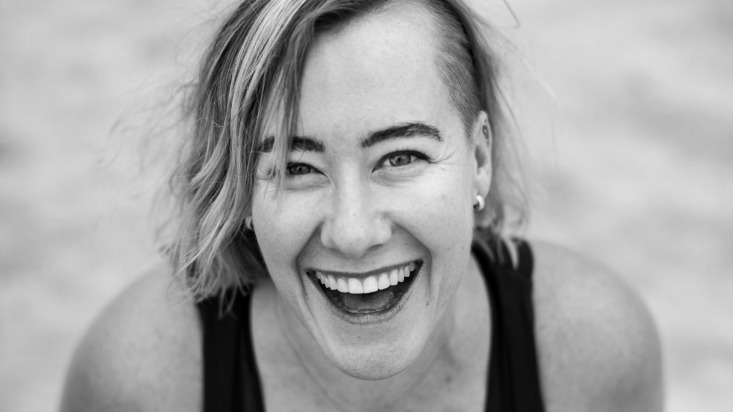 Kylie Pearsall is authentic, raw and brings real humour to the yoga experience, leaving students embodied, lit up and empowered. What would be today’s soundtrack for your life?